Star Mountain Charitable Foundation‘s Founder & Chairman, Brett Hickey, attended Elite Meet 2 on Tuesday, May 23rd, hosted by DebtMaven at the World Trade Center in New York. 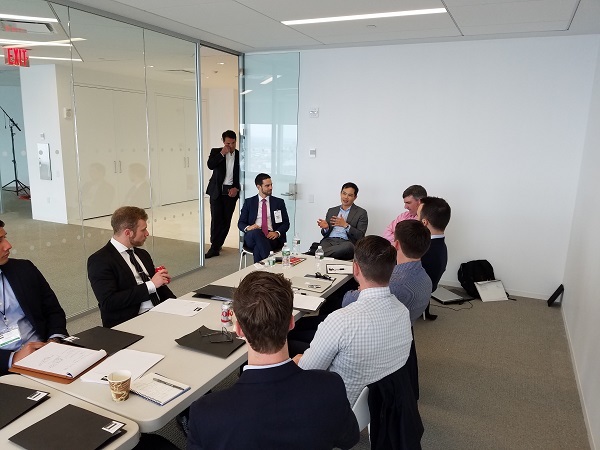 The purpose of this exclusive event was for influential business professionals and elite military veterans to network together, in hopes of linking retired soldiers to jobs after having provided their valued service to our country. Elite Meet’s typical events include luminaries, speakers and panels focused on corporate culture, middle market finance, and recruiting. Military attendees include US Special Operations Forces (SOF), who are a part of the Department of Defense’s US Special Operations Command (USSOCOM). In 2016, the unemployment rate for veterans was reported to be approximately 4.3 %. Star Mountain is committed to helping to reduce this number and ease the transition into the private sector for former military veterans by introducing these veterans to their 250+ portfolio companies and 20,000 business owner relationships. Star Mountain continues to express deep support for our nation’s military and veterans and this past May celebrated Military Appreciation Month. Star Mountain feels immensely fortunate to be safe and secure because of the sacrifices of our devoted military veterans. We cannot thank our troops enough for their unparalleled selflessness, and we will strive to assist them as best as we can, whether through charity, access to job opportunities, fundraising events or through education and networking events like Elite Meet.